Located in the heart of the city, Mind Tree School, Nahan is spread over a large area and includes all the modern outdoor and indoor amenities that make it the most preferred destination for quality education. 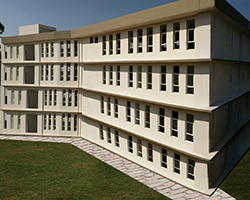 The whole campus is wi-fi enabled to cater to the progressive and modern educational needs. The school follows CBSE guidelines. The school will spread its wings till +2 level in the years to come. 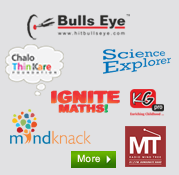 The school programme is designed around the factors which lead to success of all learners. Every student is exposed to a holistic educational experience in an active and dynamic learning environment which provides an opportunity to realise one's potential and achieve excellence. The school curriculum focuses on self-development which is consistently followed into the teaching-learning environment through appropriate use of technology to achieve objectives. The curriculum is so designed as to effortlessly integrate with the Junior school programme. Adequately ventilated, spacious and attractive classrooms, equipped with colourful and child friendly furnishings make it an ideal place for learning. The Library has a large number of carefully chosen books, reference books & encyclopedias. It also offers a large pool of audio-video resources. A well equipped computer lab with appropriate software and seamless internet connectivity helps students to explore the world. The school has a fully functional hall with a seating capacity of 200 persons. It has facilities for indoor sports & other activities. The school has an A/V Room equipped with the latest audio and visual equipments like large screen LED, music system etc. Sports and Games are an integral part of childhood. 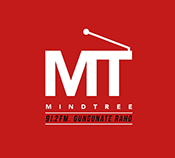 Mind Tree focusses on both indoor as well as outdoor sports. Skating, Karate, Yoga, Kabaddi and Kho-Kho are just a few of them. Activity rooms with adequate facilities for music, dance and drama ensure that the children's creative side always finds expression and exposure. A specially designed sand play area helps to unleash creativity of the young ones. A modern splash pool with rain & sea theme equipped with water toys provides unending fun. The school lays emphasis on Music, Classical Dance, Western Dance & Theatre. 100% power back up has been made available through an eco-friendly silent generator to ensure an unhindered learning process. Latest & adequate fleet of vehicles provides a safe pick & drop facility for students. Keeping in mind the prevalent uncertain circumstances, well-trained security personnel have been deployed to safeguard the campus.